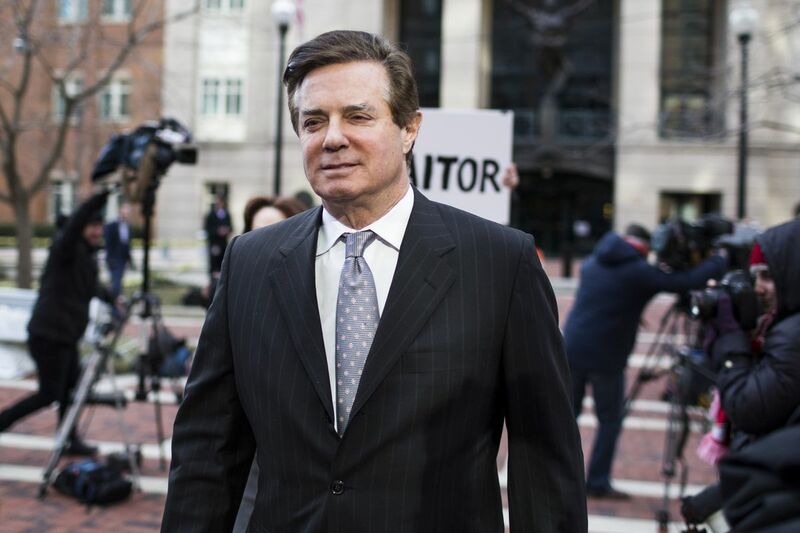 Paul Manafort, the ex-chairman of the Donald Trump’s presidential campaign, urged a federal judge to dismiss the money laundering and illegal lobbying charges against him, attacking the foundation of a case that could send him to prison for 20 years. Manafort assailed the case by Special Counsel Robert Mueller, who is prosecuting related indictments against Manafort in both Washington and Virginia federal courts. Manafort, a renowned political strategist for Republican politicians and foreign leaders, asked a judge to dismiss the Washington case. His lawyers argued that Mueller exceeded his authority under an appointment that directed him to investigate possible collusion between Russia and the Trump campaign. Mueller also can investigate other matters that arise from his investigation, but he’s abused that authority, according to the filing. “That further power is not merely tantamount to a blank check,’’ according to Manafort’s filing. “It is a blank check the special counsel has cashed, repeatedly. ’’ Defense lawyers made similar arguments in a civil lawsuit that claims Mueller lacked the authority to prosecute Manafort. But the filing on Wednesday night advances a new argument -- that Mueller’s prosecutors not only exceeded their appointment authority, but also improperly appeared before the grand jury that indicted Manafort. Two Indictments Manafort, 68, was indicted in Washington on Oct.
27 with his former deputy, Rick Gates. They were accused of conspiring to launder millions of dollars they made while working in Ukraine for Viktor Yanukovych, the pro-Russian former president, and others and for failing to register as lobbyists in the U. Gates pleaded guilty to conspiring with Manafort to defraud the U.
and to lying to federal agents. He also agreed to help Mueller’s investigation. Just before that plea last month, prosecutors unsealed a second indictment of Manafort in Alexandria, Virginia, accusing him of bank and tax fraud. The cases were brought in separate courts because Manafort wouldn’t consent to having the tax charges filed in Washington. In the Virginia case, the judge has set a July 10 trial date. His Washington case will go to trial on Sept. Both judges have imposed $10 million bail terms on Manafort, with home confinement and electronic monitoring. In the Virginia case, U.
Ellis III released an order on Tuesday that said stiff terms are necessary because Manafort has the wealth and international connections to flee and remain at large. He also has the incentive to skip bail, the judge said. “Given the nature of the charges against the defendant and the apparent weight of the evidence against him, defendant faces the very real possibility of spending the rest of his life in prison,” Ellis wrote. District Court, Eastern District of Virginia (Alexandria), and U. District Court, District of Columbia (Washington).